The nonprofit Center for Constitutional Rights, which acted as co-counsel in the case, is deeply enmeshed in the politics of terrorism (take one guess on whose side) and has even taken money from groups linked to terrorism. 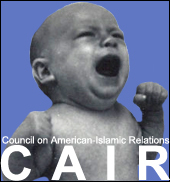 CCR donors include the Ohio branch of the Council on American-Islamic Relations (CAIR), Safa Trust Inc., and the International Institute of Islamic Thought, all of which have been accused of connections to Islamist terror groups. For more background on CAIR-OH’s support of CCR, see this Capital Research Center report, “The Terrorists Legal Team” and NGO Monitor’s report on CCR’s “Serial Abuse of International Law”. Just as a reminder, recall that Salim Hamdan was Osama bin Laden’s driver, and Lakhdar Boumediene and his five associates were taken into custody to prevent an attack on the US Embassy in Bosnia. 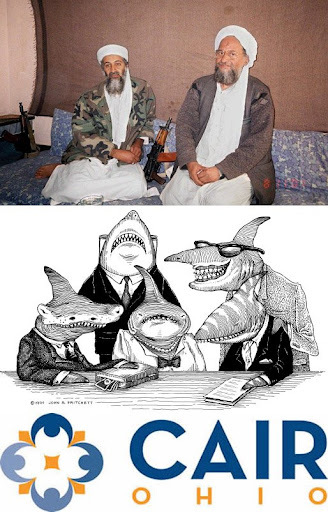 Did some of that CAIR-Ohio money funding Al-Qaeda’s law firm came from the fundraiser featuring 1993 World Trade Center bombing unindicted co-conspirator Siraj Wahhaj, who helped raise $100,000 for CAIR-OH as the keynote speaker at their 2006 annual banquet, or the 2007 CAIR-OH annual banquet featuring Governor Ted Strickland? For a good analysis of why granting habeas corpus rights to unlawful enemy combatants and other terrorists captured in the field is a significant departure from accepted international rules of warfare and American jurisprudence, see Timothy Furnish’s recent article, “Supreme Ignorance: America’s High Court Disregards the Laws of Land Warfare,” and former US Senator Fred Thompson’s piece at Pajamas Media (one of my writing homes), “Boumediene: A Supremely Problematic Court Decision”. Today the Court strikes down as inadequate the most generous set of procedural protections ever afforded aliens detained by this country as enemy combatants. The political branches crafted these procedures amidst an ongoing military conflict, after much careful investigation and thorough debate. The Court rejects them today out of hand, without bothering to say what due process rights the detainees possess, without explaining how the statute fails to vindicate those rights, and before a single petitioner has even attempted to avail himself of the law’s operation. And to what effect? The majority merely replaces a review system designed by the people’s representatives with a set of shapeless procedures to be defined by federal courts at some future date. One cannot help but think, after surveying the modest practical results of the majority’s ambitious opinion, that this decision is not really about the detainees at all, but about control of federal policy regarding enemy combatants. Where’s CAIR on Christopher Paul?